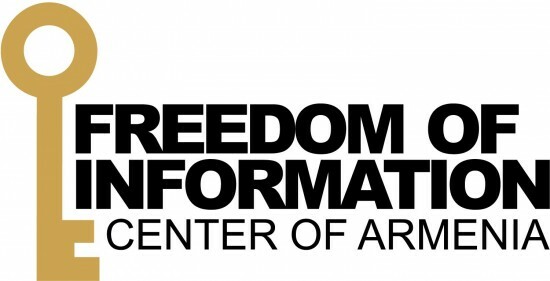 The Freedom of Information Center of Armenia celebrates its 10th anniversary - News & events - Freedom of Information Center of Armenia. During the past 10 years the FOICA managed to open hundreds of closed official doors and to make thousands of official documents public. In 2001-2011 the Center provided 6200 people with legal consultations and assistance. In 2006-2010 the FOICA brought 28 court cases with 90% positive outcome against those state governance and local self-government bodies which illegally denied information requests. As a result, FOICA has restored the violated rights of people. In these years FOICA published hundreds of articles, dozens of books, guides, handbooks on freedom of information. FOICA has played an active role in the elaboration and adoption of RA law on “Freedom of information”. Organizing countrywide trainings for citizens and representatives of NGOs and mass media, as well as state officials, the center helps to improve their knowledge in the sphere of freedom of information. During 2003-2011 5300 people, including 2500 officials received skills and knowledge on the legislation on freedom of information. “Annually, the center submits 1000 FOI requests to state bodies and self-governing bodies, thus being one of the most active users of the RA law on “Freedom of information””, - says Shushan Doydoyan, the president of the FOICA. Since 2001 the center runs a country-wide public education campaign aimed at raising public awareness on th access to information issues. The FOICA publishes the “You have the right to know” Bulletin which is the only Armenian periodical specialized in freedom of information. Each issue of the bulletin contains a “black-list” of those officials who have violated the access right of citizens, journalists, NGOs and juridical persons. The FOICA widely publicizes violations of the right to access to information with mass media. The FOICA implements a number of activities aimed at establishing new electronic government mechanisms in the government system. They are also aimed at improving those mechanisms, ensuring their publicity, and directing them to the implementation of the access to information right. At the FOI Annual Award Ceremony of FOICA the Golden Key is awarded to citizens who actively exercised their right of access to information, to NGOs, state and self-government bodies and journalists. The negative awards - rusty locks are awarded to the state and self-government bodies, which violated the Law on “Freedom of Information”.